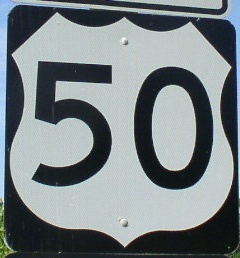 U.S. Federal Route 50 is a east-west highway across Central Kansas. This runs from the Missouri State Line at Kansas City to the Colorado State Line, near Coolridge, via Emporia, Newton, Hutchinson, Dodge City, and Garden City. Info on U.S. Rt. 50 is broken down by county below.